My products have been described in many different ways. Delicious, incredible, amazing, "yummy", wonderful, tasty, scrumptious... here are some testimonials. 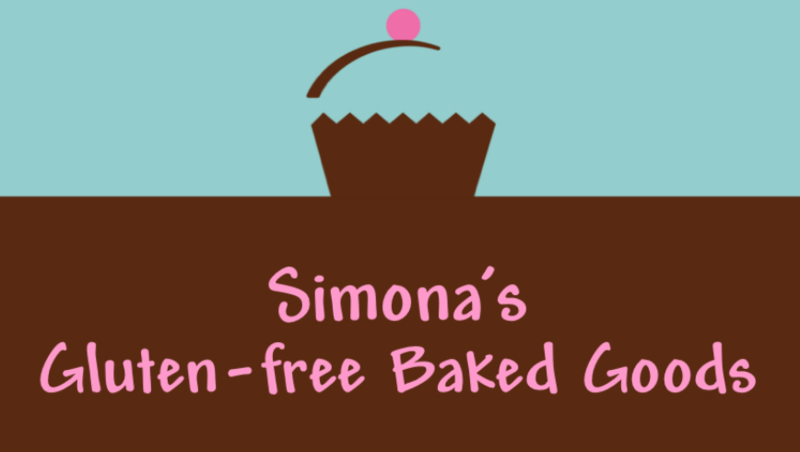 “We're carrying Simona's Gluten-Free Baked Goods. They're the best I've ever had (seriously). Local (Florence, MA), with a wonderful, moist consistency. You wouldn't know they're gluten-free!” Joseph Bialek, Prepare Food Department Manager at River Valley Market, Northampton. "Your almond cake is totally delicious. I brought it into my office so that I wouldn't consume the entire thing -- and my whole office loved it." "I have to tell you that your products are absolutely delicious!!!! I had the pear tart and the lemon pound cake so far and am taking the brownie and cookies home to share with my family. The owners tried the cookies and said that they could not tell that there was a difference from regular cookies. Coming from a scratch baker, you have a great product and I wish you great success. " "The challah was absolutely wonderful.Thank you. I haven't tasted as good a challah in perhaps thirty or more years."